Glamor is no longer the heritage of the great luxury hotels in Malaga, the Costa del Sol of Andalusia in Spain. Gone are the times when the premium services of luxury hotels in Spain could only be experienced by a privileged few who spent a fortune, often unjustified, in services that, today, Tiburón Boutique Hotel brings a greater number of guests. We have all dreamed of staying in one of the most famous luxury hotels in the world. 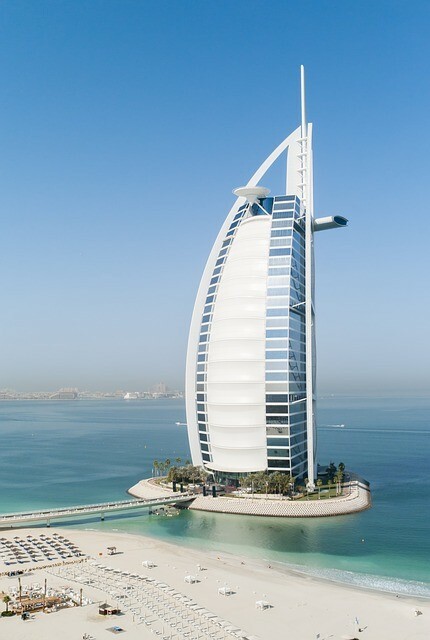 As for example the Burj Al Arab in Dubai. But, unfortunately for many it is unattainable. However, this does not mean that you can not experience the experience of luxury and glamor with more humble budgets. Currently many hotels are specializing in offering a more sensible and achievable luxury. A proper management and correct conception of the offer bring the true glamor of luxury hotels. Thus, for example, Tiburón Boutique Hotel has managed to achieve a combination of premium services with adjusted rates thanks to actions such as the following. The specialization made a hotel for adults only. This allows orienting the resources of the hotel to a more specific and selective public, focusing exclusively on their well-being. Focused on avoiding superfluous expenses that were ostentatious and did not provide real value for the guests. In addition, through innovation and imagination, in which it has made a remarkable effort, it offers services that can make you feel prestigious experiences thanks to the originality of its proposals. Being a hotel with a limited number of rooms you can monitor each of the details of each of them and, of course, pamper and cater to the guests in a personalized way. In this same line, thanks to the limited capacity, it boasts an individualized treatment by a trained and professional staff with extensive experience capable of responding to demands of high standing. The decoration carried out by emerging decorators combines refinement and elegance, alternating contemporary, classic furniture and incorporating new technologies in a natural way to make the experience unmatched. Without the need for a waste in great designers who fail to understand that true luxury does not reside in the sumptuousness. The hotel also takes advantage of its location taking advantage of being less than 30 minutes to contemplate the ultimate expression of luxury in Marbella and its acclaimed Puerto Banus. One of the maritime promenades where the great world luxury companies are concentrated with the most outstanding national and international fashion stores and boutiques in the world. In a break from the hotel you can experience all this luxury, and return to rest in a luxury hotel but without the artifice or exaggeration of excessive luxury. The new guest profile of luxury hotels. The 21st century has brought with it a new generation of consumers, who have suffered the rigors of a global crisis and, as a result, are more aware of the value of their money. This does not mean that they live frugally, on the contrary, they are not prone to saving, but they are more rational and although they demand "the best" they do it by optimizing the price-quality ratio. They do not mind paying more, but as long as it's worth it. This new public also includes executives, with high average salaries who, when making business trips, look for hotels according to their professional level but also play with the economy of the company. Especially when these new workers are freelancers or freelancers who, although leading a profitable company, are rational in their expenses. Thus luxury hotels become a space in which to release stress after an intense day of business, according to their status. This new public, in addition to workers with managerial positions, is characterized by living as a couple. With a similar level of income they want to enjoy their life as a couple, and although they want to have children, they delay this decision. And, therefore, they look for spaces for their vacations that promote services destined for the two own of standing hotels. Another segment that is looking for a new luxury hotel, detached from the old-world ambience of traditional luxury hotels, is the gay public. Also, generally with a somewhat higher level of income, look for more exclusive hotels, which are, openly, openly gay friendly. Well, luxury is not at odds with the LGBT collective. According to Saber Corporation's study of luxury hotels and new trends in Europe and the Middle East visitors look for social status when they choose their hotel. In other words, these new clients are Status Seekers (social status seekers): this new guest wants to express their personality and social status through the brands they consume, and by extension it applies to a hotel. According to the study, "about 80% of consumers with a high economic position would prefer to live a luxury experience to own a luxury object". Therefore, the Tiburon Boutique Hotel has identified those wishes of travelers who can afford it and redefines the experience of staying in a hotel, seeking added value to the hotel's conventional services. Thinking of satisfying the desires of this type of clients, the El Tiburón Boutique Hotel has designed an experience where it gathers all the components of a luxury stay typical of a five-star hotel. The Executive experience an offer only available on their website to experience the experience of staying in luxury hotels. Finally, the so-called gray market, configured by the senior tourist of more than 60 years, is becoming increasingly important. Normally retired, in good health and a medium-high pension. It seeks to find new destinations with a high quality but at a reasonable price, so that the attention of this type of segments will be a priority. However, the real luxury lies in its charm. The Hotel treasures its own and exclusive personality, a true privilege within a generalized tourist offer. Against large hotel chains in which standardization reigns. Class, refinement, great packaging and elegance, are the concepts on which his know-how is based. Aware that the lowwury is a trend in luxury hotels in Europe and in other sectors where it sweeps away, like fashion, it wants to indulge itself to combine all the comforts and details of an elegant boutique hotel and breathe an elite atmosphere Do not imply giving up the economy thanks to a more affordable price. For all this The El Tiburón Boutique Hotel has positioned itself as one of the most attractive proposals to live a luxurious experience with all kinds of services, typical of the large luxury hotels in Malaga, the Costa del Sol of Andalusia in Spain.